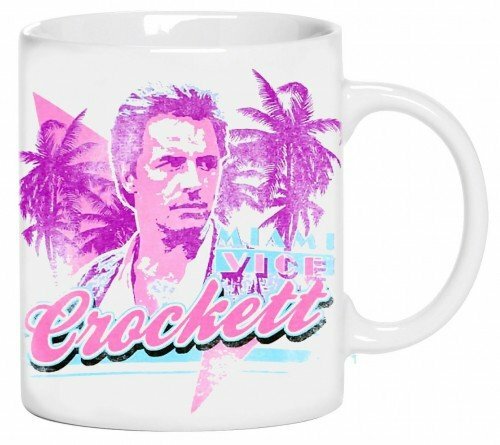 I couldn't possibly run an 80s website without writing about the Miami Vice TV series, which was the inspiration for the turquoise and pink theme. Pastel and white suits, white sockless loafers, Jan Hammer instrumentals, fast cars, boats and ray bans - you can't get more eighties than that! Indeed, the palm trees, flamingos, Miami sunsets and title screen colours have inspired a lot of 80s artwork. 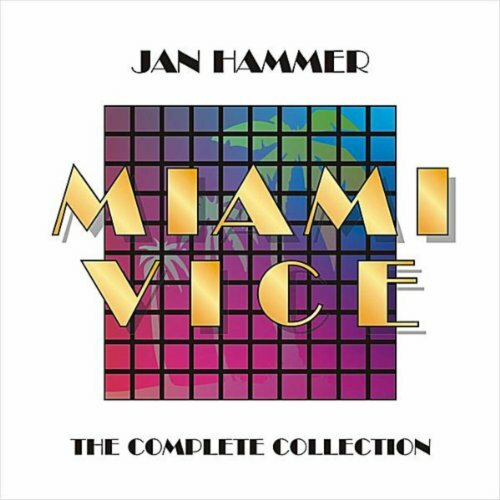 The video above features Crockett's Theme by Jan Hammer (which featured on the second soundtrack album) and clips from the show. 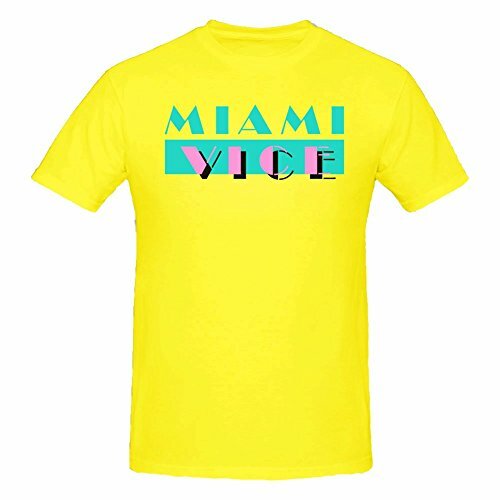 You can watch the video for the original Miami Vice theme music on this site. 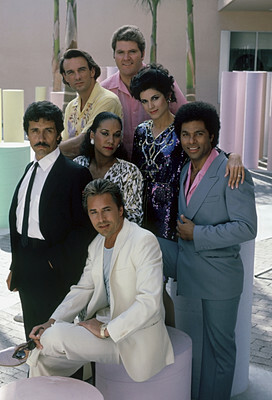 This memorable TV Series is often referred to when discussing 80s fashion, especially the pastel-coloured suits. The luxurious backdrops, no doubt, boosted tourism in Miami, and the images of excess were well-suited to the 1980s. The crime drama originally aired on NBC and lasted for five seasons - 111 episodes. 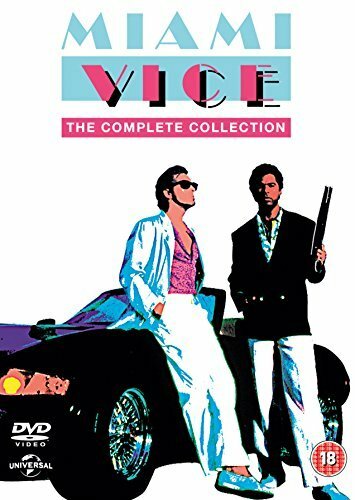 It followed two undercover detectives James "Sonny" Crockett played by Don Johnson and Ricardo "Rico" Tubbs played by Philip Michael Thomas. The earlier series' were definitely more light-hearted and included funny characters such as Noogie Lamont who was played by Charlie Bennett. When the show started to feature more serious crimes, with grittier story lines and extra violence, the popularity started to decline, and left dedicated fans a little bemused. Disclosure: Simplyeighties.com is a participant in the Amazon Associates advertising programs. This allows trusted websites (like ours) to earn fees by linking to and advertising items at amazon.co.uk and amazon.com. 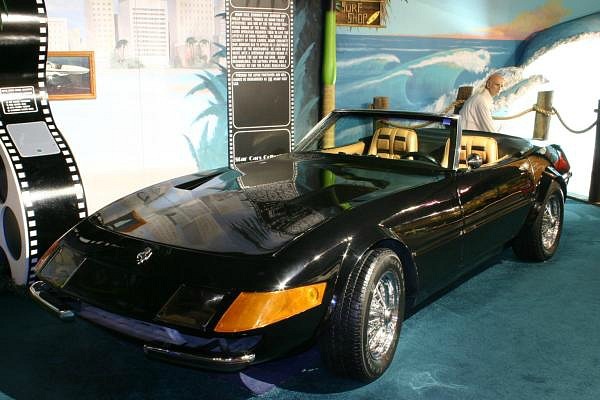 The photo shows a 1972 Ferrari Daytona Spyder which is actually a kit replica, and used a modified Chevrolet Corvette chassis with Ferrari-style body panels. This was driven by Don Johnson in the first two seasons of Miami Vice. However, Enzo Ferrari demanded that the show stopped using replica Ferrari's and donated two white 1986 Testarossa's as replacements - a look-alike was used in the stunts which was actually a 1972 De-Tomaso Pantera. The replica Ferrari was actually blown-up in series three. Crockett's partner, Tubbs, drove a Cadillac Coupe de Ville Convertible. Other cars to feature in the series were a Ford Thunderbird, Lamborghini's, Lotus, DeLorean and Porsche, to name but a few. This photo is from 1985. From the top; John Diehl as Detective Larry Zito, Michael Talbott as Det. Stan Switek, Saundra Santiago as Det. Gina Navarro Calabrese (middle) Edward James Olmos as Lt. Martin Castillo, Olivia Brown as Det. Trudy Joplin, Philip Michael Thomas as Det. Ricardo and Don Johnson as Det. 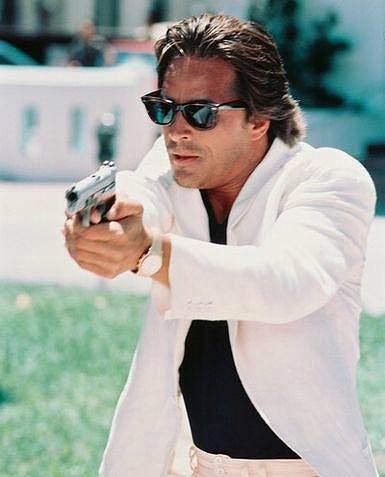 Sonny Crockett.